So Yoleros really happened familia. The HOLA Award… really happened. A successful Indiegogo campaign with 91 funders raising $3,024 in 30 days… really happened. Get this.. it all happened in Brooklyn, not in DUMBO… but in BUSHWICK, Brooklyn. Can you dig it? I am not really in a position to review this show, as I do not think I have the credentials to talk about things from a “theater perspective” but as a cultural ambassador… I will tell you this, we are surrounded by pioneers. People who are risk takers and are passionate enough about the work that they invest it themselves when the sponsors do not show up. People who tell untold stories and have a great following but go the extra mile to make sure our people fill those seats, that we take pride in the stories being told. We are being displaced physically from so many places, we need to make sure we document our contributions. I want you to know what happened… so you know that you need to show up… or we lose it all. Connect with these pioneers and fight to keep our culture where it belongs, in the communities we helped build. I watched it and enjoyed it… it was bold, unpredictable yet familiar… the cast was simply brilliant. If you are not familiar with Yoleros… here is the breakdown. Yoleros is an award-winning, original play created by the Teatrica Theater Company. The company was born in 2011 to continue the vibrant tradition of producing theater in Spanish in New York City. We seek to serve communities that lack access to cultural arts programs and to spread the importance and benefits of theater to often under-served Spanish-speaking audiences. We also seek to engage English-speakers in the tradition of Latino theater to deepen their understanding of the experiences of their close neighbors who often live across language barriers. 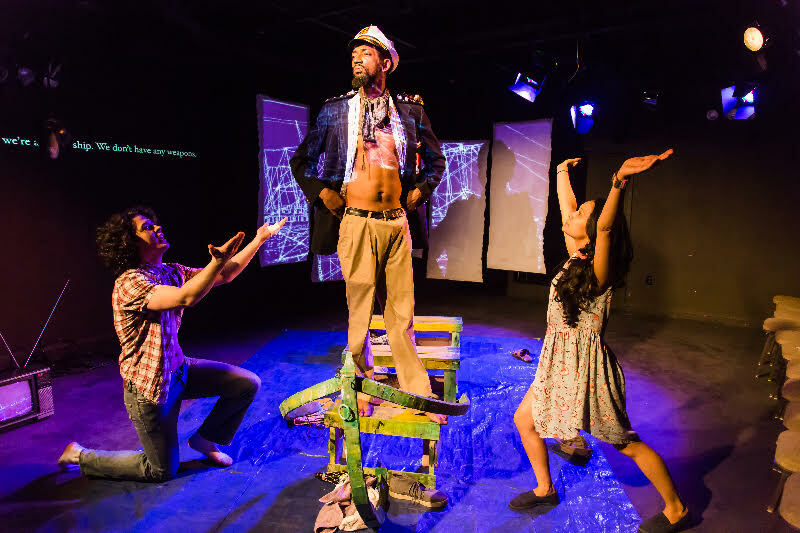 As part of this mission, Teatrica wrote and produced Yoleros, an imaginative and complex telling of the story of three immigrants seeking a better future, which is written entirely in Spanish and will be performed with live English subtitles. The first run of Yoleros received an award for Outstanding Performance by an Ensemble Cast by the Hispanic Organization of Latin Actors (HOLA). This is a very important opportunity for us because our production will be the Obie Award-winning Bushwick Starr’s first Spanish language production. We’re also excited to perform in Bushwick where 70% of the population is Hispanic. Alex Vásquez Escaño is the writer of Yoleros. 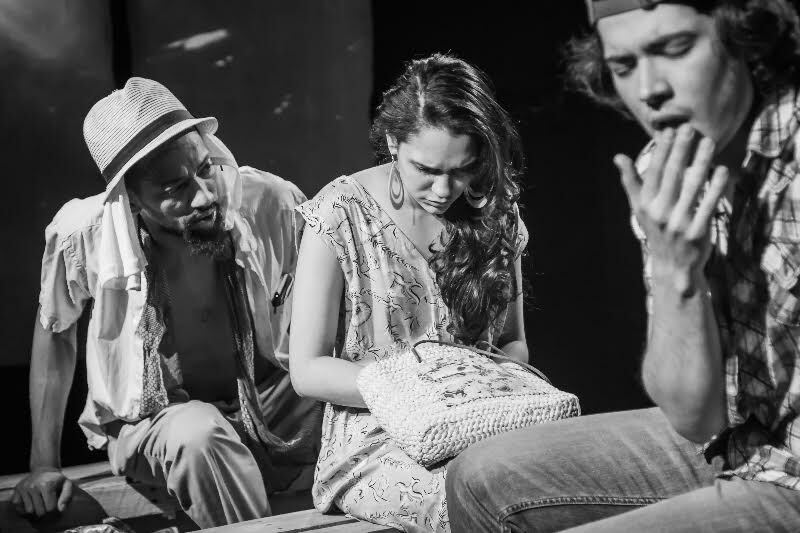 His work Bed for Two, received IATI Theater’s Abdon Villamizar Playwriting Workshop Award and was published in Máscaras Errantes: Antología de Dramaturgos Dominicanos en los Estados Unidos. Yoleros was published in 2014 in an anthology called Palabras Acentuadas. The play was directed by the very talented Martin Balmaceda. The cast is made up of three talented young actors. Modesto Flako Jimenez, Mathia Vargas and Sully Bonnelly (ACE 2014 Award Winner) recreate the lives of people who risk it all since they have nothing to lose. Yoleros is an award-winning, original play created by the Teatrica Theater Company. The company was born in 2011 to continue the vibrant tradition of producing theater in Spanish in New York City. We seek to serve communities that lack access to cultural arts programs and to spread the importance and benefits of theater to often underserved Spanish-speaking audiences. We also seek to engage English-speakers in the tradition of Latino theater to deepen their understanding of the experiences of their close neighbors who often live across language barriers. Brooklyn Gypsies is an eclectic artist collective made up of New Yorker’s both native and immigrant to our city. We present annual showcases of new work in theater, dance, poetry and film that spark dialogues on critical issues of immigration, economics, and urban survival. We curate a mix of established and emerging artists and give them a platform to explore complex issues in a stimulating environment. Brooklyn Gypsies is a playground to celebrate and share what is unique about Bushwick’s converging arts communities.